Working at coffeesho ps is a relatively new thing for me. I see coffee shops as social spaces, where I meet people and have some tea and maybe a snack. (I’m not quite a coffee person.) But since my schedule has got impossibly busy over the years, I’ve learned to find a nook to work on focused tasks helps be more efficient and a bit less stressed. So I was working at the tea shop the other day, and a woman sat next to me with her tea and The New York Times. And it struck me – some people get some alone leisure time by going out and finding a place to solve crosswords. Being a videogame person, I had to ask on Twitter, as onedoes, whether other people went to play videogames to the coffeeshop. This older woman next to me has come to the coffee shop to do her NYT crossword and have a tea. Are there videogames you’d play in a coffee shop? Wild. There were casual games like Clash Royale or Plants vs. Zombies, including time-management games like Diner Dash. There was also room for sophisticated puzzle games like Beglitched. Farming simulation games such as Animal Crossing or Stardew Valley, get several mentions. One person mentions turn-based strategy games, which seems to fit the environment. All these games are single-player, mostly on mobile (I’ll count the Nintendo Switch as such) but some were played on a laptop. The responses in the thread confirmed my suspicion that the kinds of games that one would play in the coffee shop are similar to bringing a book, a crossword, or any similar kind of puzzle (sudoku, nonograms). The idea is to abscond to spend some time alone with a story, or with a challenge that may requires a certain amount of focus — let’s say that Beglitched can be the videogame equivalent of the Saturday crossword of the New York times. Being offline also seems important. I don’t quite see people playing first-person shooters or MOBAs at the coffee shop – although I’m sure some people do – just because it’s very easy to get passionate and loud while you’re fighting, and you need a reliable connection to play online. There are other social spaces to play other genres – there are board game cafes, there used to be cybercafes in the 90s with LANs to play first-person shooters. Perhaps there’s a business model for a coffee shop that organizesmulti-player events and competitions. But when it comes to going to a coffee shop, for you and your game, stories, puzzles, and turn-base strategy go well with a cuppa. Or coffee. It is the season of writing game of the past year lists and hyping the games of the new one. I’m delighted to see how Telltale’s The Walking Dead haunts most of these “best of 2012” lists. Its success proves that adventure games still have a lot to say about game design and game narrative, and that there can be a wide audience for them. It also proves how choice design changes how we play and design adventure games. The Walking Dead confir ms the potential of choice design in adventure games, something that my friends at Choice of Games had already been doing for a while. The core gameplay is making decisions, usually quickly, and living with the consequences (or dying horribly). Although many scenes change depending on your previous actions, because otherwise the choice would be superfluous, the game does not degenerate into out-of-control branching. Instead, it changes specific aspects and scenes of the story. Designing this game must have still been rather complex, which is what happens whenever we have to set up a choice and a clear narrative consequence, but it is done in such a way that choices create a hyper-tangled rhizome. What I have not seen mentioned often enough in reviews how different The Walking Dead is from other Telltale games, as well as from many other point-and-click adventure games. This may come from the misconception that adventure games are the electronic version of Choose Your Own Adventure books, so it may seem that this is more of the same.It’s not. Adventure games are simulations. This is obvious to anyone who’s written IF with Inform, or created games with Adventure Game Studio, for example, but it’s a concept that finds resistance from people who only play them, and usually without much enthusiasm. Zork, Maniac Mansion, Machinarium are all based on creating a world, a space, populated by characters and objects, which have different relationships between them. The simulation creates challenges usually in the form of puzzles, and the player has to solve it by understanding how the simulation works. The story unfolds as the player interacts with the world and solves the puzzles. 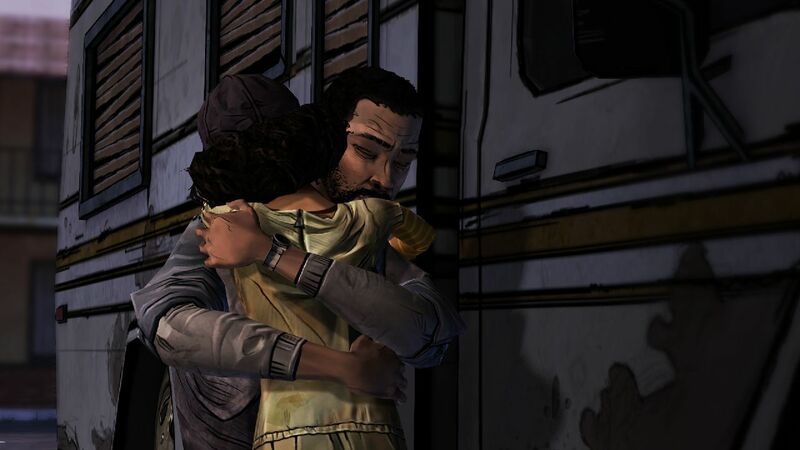 The Choice of Games series, as well as The Walking Dead, shift the attention to choice and consequence. This is obvious in the Choice Of… games, where the world of the game is described, and our only interaction is selecting items from a menu. We don’t interact with a simulated world, but with a world represented through text. The Walking Dead is a nice hybrid between traditional point-and-click and choose your own adventure, where some scenes allow us to walk around and explore the world at our leisure, to learn about the place and gather information, which will inform our decisions later. There’s less puzzle-solving, the core of the game is choosing the right thing in the moments of crisis. Best thing of all, what the “right” thing to do is never clear, and often makes you feel like you’re trapped in an awful situation. 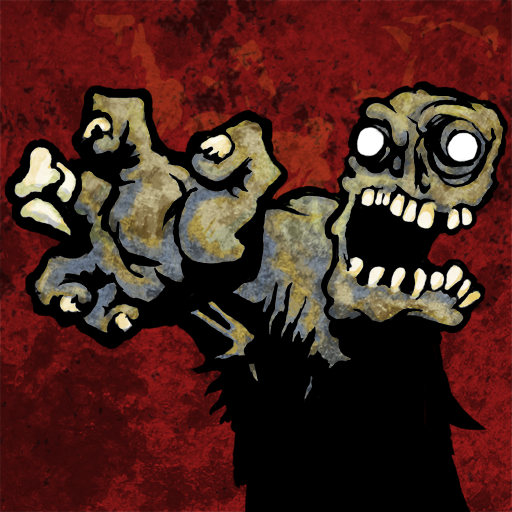 As someone who designs adventure games focused on simulation and puzzle solving, I really welcome games like Choice of Zombies or The Walking Dead. It’s refreshing, it proves that there is still so much to do in adventure games beyond paying constant homages to our favourite games from Lucasarts or Sierra (I’m guilty of that too). There is a wide design palette at our disposal, we just have to use it. The Walking Dead and Choice of Zombies also fit choice design with their topic very well. It makes sense that we cannot go many places, that there is not a lot to explore: it’s the zombie apocalypse! Plus you’d better be careful with what you do, because any choice could be your last. The limitations in the environment bridge very well the world of the game and the game design. Choice design is not new, RPGs have explored this for a long time, with varying success. Think of all these games series: Fallout, Knights of the Old Republic, Fable, Dragon Age… Often choices in RPGs are limited to “save the baby or kill it” pseudomorality, where the consequences are relatively predictable. Some of the examples just listed demonstrate how much more interesting choices become when your expectations are thwarted, or, better enough, where there is no easy choice, which is what probably is impressive about The Walking Dead. Choice is not alien to adventure games either–Infocom’s Suspended depends on your strategies to try to save the world before you are disconnected, for example. Point-and-click adventure games included important choices, usually at the end, because it’s easier to generate three different endings than start working on different outcomes all throughout the game (see The Dig, or Gabriel Knight: Sins of the Fathers, for example). More recently, Resonance did a wonderful job of incorporating choices. (It’s hard to talk about it without spoiling it, but I’ll try.) Resonance also has multiple endings, but does have choice points throughout the game that feel really important, and even if the consequences of the choice are not so different (or inevitable, when it comes to the twist of the game), the game makes you stop and think about what you’re doing. This is mostly achieved by getting you to know the characters and empathise with them, you spend time with them, and when the crisis comes about, you feel for the characters, you feel the pain and the betrayal. The consequences are emotional rather than changing the events. Resonance does in practice what the publicity of Heavy Rain kept announcing, and the game eventually failed to deliver. The Walking Dead combines plot consequences with emotional consequences very cleverly: early on, you see how your decisions can have awful consequences, people die if you don’t act fast enough or do not make the right choice. Later on, the consequences become more emotional than changing the events. Unlike the adventure games listed in the paragraph above, where it’s a final choice that changes the ending, The Walking Dead takes you to an inevitable ending with slight variations, which may feel different depending on how you have chosen to play your character. That’s eventually the triumph of the game: choice design is about the psychology of the player, not about showing off a complex system. 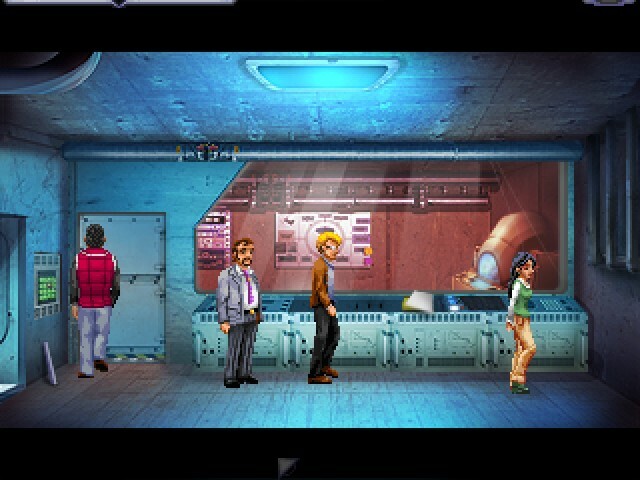 The possibilites of new adventure games are wide open, it’s our choice. Those who said that adventure games were dead didn’t expect them to come back shuffling their feet and try to rip their gut open. As promised, here’s a bit of story behind the game The Last Symphony, why we made it and what we came across. My goal is to let you in the creative process, but hopefully without spoiling the game or being pretentious about what the game really achieves. What the game means is mostly up to you, really. The conceit of the The Last Symphony is that everything is hidden in plain sight: the objects, the stories, the people, the music. The challenge is to reveal what is hidden, and figure out what that may be. In the process, we invite players to do things that they’re not so used to doing, such as paying attention to the text, listening, and coming up with their own stories. My lovely colleagues at the lab put together this fine video that explains the research and the game. This blogpost extends what is in here. As I say in the video, the focus of the project was environmental storytelling. I had developed this concept, indexical storytelling, which refers to design techniques to construct stories in the environment by leaving traces or indications, and I wanted to put it to the test. You can read my paper on the concept, or watch one of the industry presentations that I have given on the topic online if you need more detail. A hidden object game seemed to be the way to go. 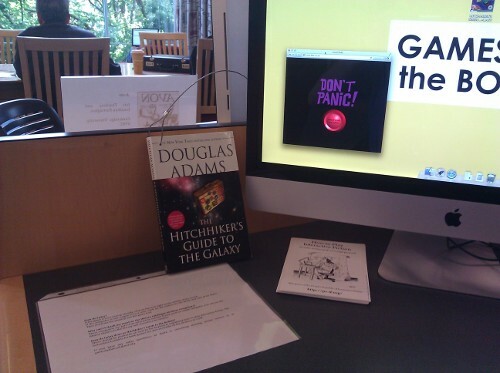 It was perfect for my purposes: related to adventure games, the genre I know best, it was not a particular technical challenge, and a scope was feasible in the length of the summer program (8 weeks!). Plus hidden object games are all about environment: you’re scouring the screen, finding items in the jumble. Hidden object games seemed to be in need of some environmental storytelling techniques, so that the story also happened in the screens that the player spends the most time at, not only the cutscenes. Although some of hidden object games are certainly trying hard to give relevance to the objects you seek, and are leaving behind the photoshop-the-hell-of-it technique, there was certainly room for improvement. Hello, research! The first step was common to all my previous games: paper prototyping. As with adventure games, the catch was that we had to have a story of the world which would shape the environment, and from that we wanted to have a set of mechanics that related to finding objects on a screen. Story and prototype had to go together. With all the visual focus,it was ironic that that during brainstorming and prototyping, everyone’s favourite story was reconstructing the life of a music composer. This opened up the way to use music as another layer to tell the story, which I personally was very excited about (I love film soundtracks, and never miss the chance of using the music as a narrative element as well), and so was our audio designer. He has written his own blog post about the role of the music of the game, so go read it too. In implementing the game, the main challenge was that every object on the screen had to be there for a reason. A lot of the weight of indexical storytelling fell on the illustrators, who had to negotiate constantly where things would go and why. Every object is part of a story, like a puzzle piece, it had to come from somewhere, and it had been left where it was for a narrative reason. (Well, at times there were technical reasons, like you don’t want to put small objects at the back of the room, because then players have to find a pixel). At times it is surprising to realize that, in order to improve games, you only have to think about what you’re doing, rather than going through the motions of what’s been done before. It takes a tad more time, but in the long run it does not become a problem for production, although it scheduling has to accomodate for it. It may seem obvious, but it bears repeating: innovation comes from putting a bit of thinking of where things come from. What was still missing was how to make the objects meaningful. The events of the stories in the game have left a trace in the space, but how can the players also leave a trace? The first step was figuring out who the player was in the game: a museum curator seemed like a natural role, which would justify why one would go and look for objects in a house and take them away (detectives and thieves are trite at this point). Curators also have to construct a narrative based on objects. Based on that, we came up with a set of mechanics where, after finding the objects, the player had to select them based on which items may relate to each other and generate a narrative. We still had one piece missing: how does the player know what the objects mean? How do we cover that gap? The cheap and fast solution was to attach texts to the objects themselves. That information could not be presented as the player found the objects, or making them into hotspots–this was a hidden object game, not an adventure game (I’d done that already). But what was the narrative premise for that? Our player character could give us some information on the objects, but we needed to reveal more. And that’s where our lovely Ruth Carmine appeared. One of my demands for the game was that the protagonist of the game had to be female. There’s a dearth of female protagonists in games (although they are more common in hidden object games), and I was kinda embarrassed that only one of my three previous games featured a female protagonist. Our usher to the world, and the person who holds the key to the stories behind each object, is a lovely English old lady, endearing and absent-minded, who has more to her than just sipping her tea at 5 o’clock. We used Margaret Rutherford as a model to make our lady come to life. The end result is a game where the player has not only to find objects but also figure out the story. Given our time constraints, the mechanics that give you feedback on how related the objects are not very complicated or have much depth. On the other hand, we hope we turned a bug into a feature: rather than us telling the story to the player straight out, the player must fill the gaps and come up with their own. It’s not the first time that I’ve encouraged this in games: Rosemary and Symon both thrive on leaving gaps. The difference is that we have turned those gaps into an essential part of gameplay, the goal of the game is to build the story through the objects. While we were playtesting the game, asking people to tell us their version of the story was our part of the fun. At times people had outlandish versions that confirmed, yet once more, that players don’t read or pay attention to anything narrative. Others had very interesting takes. Others were right on, even when we had provided very little information. Players appropriated the objects and the story and made it theirs. A lot of players still want to know if they had got it right, see if they had guessed what the story is, and the end of the game probably does not give you enough information. We’re so used to winning and losing, to doing things a certain way, that most players cannot stand the uncertainty of what had actually happened. Although this game is not a David Lynch movie, it’s been a treat to see how people try to make sense of it. In my previous blogpost I talked about how I struggled with whether to talk about the process or not. And what made me decide to write is was really the desire to hear more player stories. So if you made it this far, could you please play the game and tell me what the story is? Here’s my dilemma: I want to talk about the game that we worked on last summer, and tell all about the thinking that went on it. On the other hand, I’m also reluctant to explain what the game is about, since I consider making games an art, and I do not feel like imposing my own reading to the audience. It’s an old problem, which I’ve already talked about in public several times. An additional factor is that there have already been quite a few run-of-the-mill games, which shall go unnamed, getting attention and shining because of the way they have been presented, based on their topic, their supposed results, or the people involved. This annoys me because my games also deal with some of those topics and are based on sophisticated design concepts, but I don’t want to beat people over the head with it. My problem partly has to do with me being the kind of subversive person who likes to drop messages between the lines, and always keep an ace up my sleeve. Plus I don’t feel comfortable peddling myself and my work. My favourite part of my job is seeing how people make sense of my games and enjoy them, and I don’t want to spoil the fun either for my players or myself. Some takes understand the specific thinking that went in the game; if I’m lucky, others will provide insight on the game that I had not even thought about. Other times, people can’t make heads or tails of it, but that’s also fun. The predicament also results from being a theorist-practitioner. As a theorist, my job is to help make sense of my field of study (digital media), and generate new insights through my work. In the same way that I learn a lot from analyzing other people’s games, talking about my process should be a way of disseminating what I have learned through making games. As a practitioner, I still feel a bit uncomfortable privileging my take on the work; plus most of the games are really the result of team work, and I would become the spokesperson of what the games are about. Additionally, I need to hear what players think of the game without me explaining anything, because learning how people play and interpret it is also part of my research. This quandary has got in the way of me writing about The Last Symphony, a hidden object game where there’s much more than meets the eye (and the ear!). Since I’ve found myself in a Hamletian trap of inaction, I’ve decided to break this vicious circle and talk a bit about the game. After all, I’ve already been talking about it in various venues, although not in much extent. It also helps that one of the team members, sound designer and music composer Richard Gould, has also started writing about the process of making the game too. So it’t not only me; I hope the rest of the wonderful development team also chimes in.There are different ways in which I can talk about the process: as a cinephile, I love reading about the process of making film, watching “making of” documentaries, and listening to film commentaries, because it provides context on the work itself. One can also talk about the craft itself, without going into an exegesis of one’s own work. So perhaps the key is providing that kind of insight on the process, without spoiling the fun (and always read my explanations after playing the game). Revisiting this interview with John Ford, I realized I couldn’t really shut up or be flippant about my work. It also takes someone as grumpy as John Ford to implicitly telling know-it-all Peter Bodganovich to sod off. I’m no good at facetiousness either. The scholar in me loves talking about the thinking that goes into making a game, and the maker in me also enjoys talking about the process of creating a game. So here’s the deal: I’ll talk about The Last Symphony, the basis of the research, the general concept, and some of the things we learned from making it in my next blog post. But first you have to go and play the game, and tell me what you think (I actually need that for my research). And then, one day, I’ll explain what the concept of the game is about, just like other people who care more about their image than their players or being an actual artist.